Over the Summer months, my aerial photography is always on a high… Flying my 1954 Piper Super Cub airplane, plays a big role in this! In the recent past, I’ve blogged quite extensively about my aerial photography; camera settings, favorite subject matter, tips and much more; click here to check out my May 15 post if you haven’t done so earlier. On a recent trip in my little yellow vintage plane, to the Northern part of the Netherlands and Germany, I overflew an interesting nature reserve which was worth making some images of. “Hooge Platen” (High Plates), in Zeeland (southwestern tip of the Netherlands) is not a very well known reserve, as one is not allowed to go inside it. Basically situated on a large sandbar in the middke of the Westerschelde (estuary of the river Scheldt), twice a day it almost completely disappears during high tide. The exception is the part in the image below, called “De Bol” which normally remains above the waterline and is a perfect habitat for nesting birds. The interesting patterns of the small creeks and the details of the birds, is what made the image below stand out to me! When it comes to flying, Nature reserves should always be treated respectfully; especially when doing Aerial photography. Typically, there will be a minimum overflight height of at least 1000 to 1500ft (300-500m) but it is sometimes even higher; respect it! As drone photography over these is likely to be restricted as well, this is a prime reason I’m still doing “classic” aerial photography using an aircraft or helicopter! On top of that, is just so much fun! Over the years, I struggled to know where to best place my aerial photography images in my online galleries. Is it Travel, Landscape or Aviation photography? I’ve finally given up and allowed them to be stand on their own as they have now become a substantial part of my photographic work! Check out my best aerial photography work in the Aerial-Portfolio and a much larger group of images in my Aerials section in the main gallery part of the site. 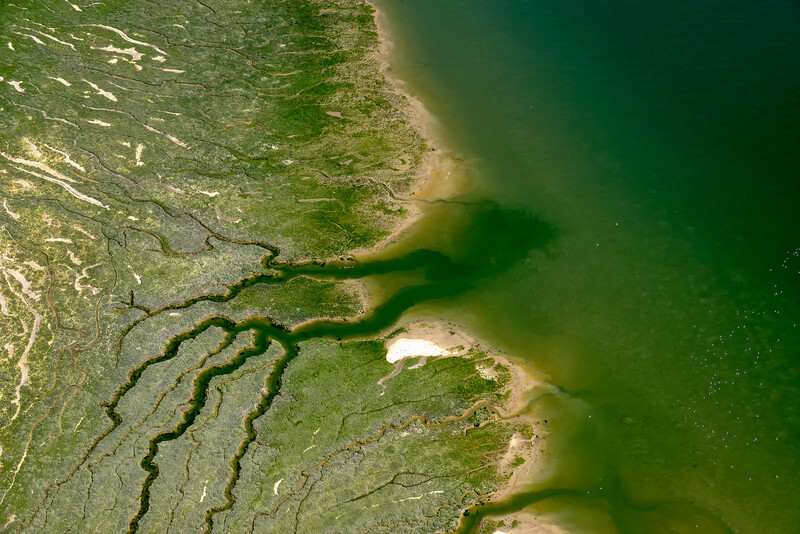 Pic(k) of the week 30: NATURE PHOTOGRAPHY FROM ABOVE - "Hooge Platen", Netherlands posted on Bjorn Moerman on October 22, 2018 6:09 pm .